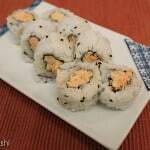 The Spicy Crab sushi roll is a fantastic recipe for people who are just starting to learn how to roll sushi at home. It’s simple to work with, simple to make, and simply satisfying. 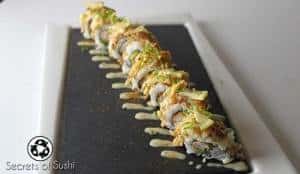 During my early days of training to become a sushi chef, this recipe was key to developing my fundamental rolling technique. The simplicity of the ingredients ensured that I could work on getting consistent results without having to focus on rolling more difficult ingredients. 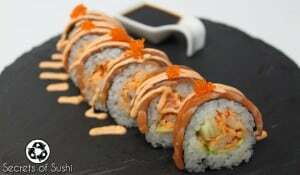 If you are new to rolling sushi, then you have come across the best recipe to start with! 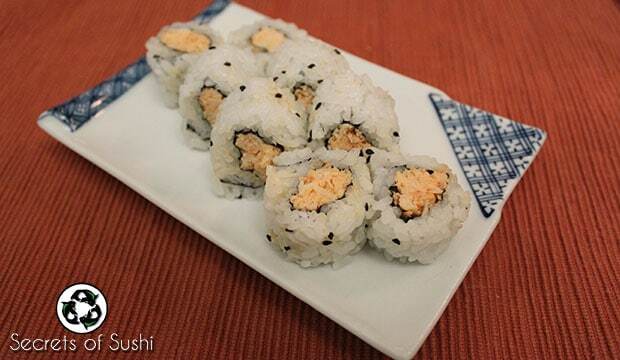 This recipe makes 4 Spicy Crab sushi rolls. The best part about this recipe (besides the taste!) is that it only has one ingredient: spicy crab salad. 1. 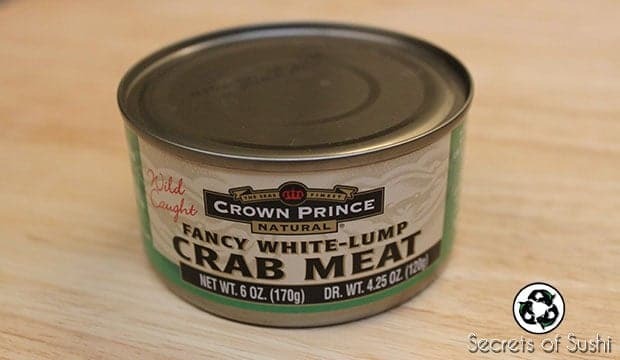 Open your two cans of sustainable crab meat and drain the water. 2. After draining the water, grab a small amount of the crab meat and squeeze the excess water out over a sink. For each 6 oz. can, I grabbed 3 handfuls of crab meat and squeezed them out. 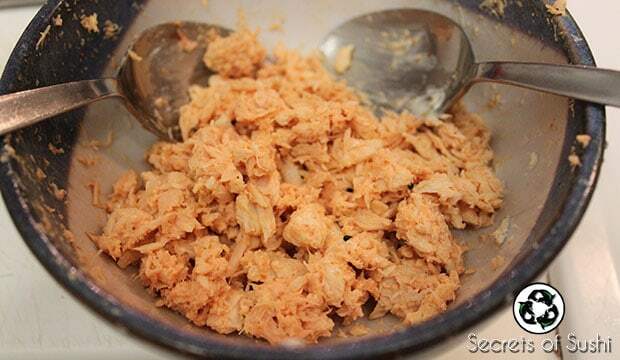 Put the squeezed crab meat into a separate bowl. It’s important to get as much water out of the crab meat as possible. Excess water in your crab salad will make your nori soggy or it will cause your pieces to fall apart after cutting your roll. 3. 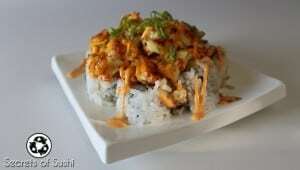 Add your heavy mayonnaise, Sriracha, and shichimi togarashi and mix together. I used two spoons to do this, but you can use whichever stirring utensils you would like. 1. 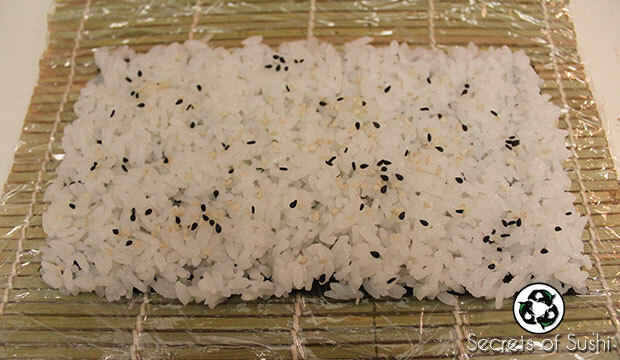 Add a handful of sushi rice to your nori and sprinkle on some sesame seeds. Make sure the rice goes all the way to each edge! 2. Flip over the rice and nori mat and add your spicy crab salad. 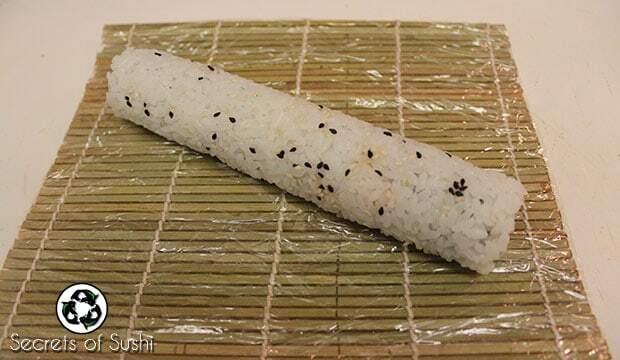 I usually aim for approximately 2cm width in the center of the nori. 3. Placing your thumbs underneath the makisu, use your fingers to hold the spicy crab salad in place and roll your thumbs to your finger tips. 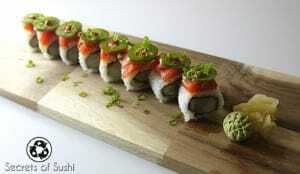 For additional information about rolling, check out my article on How to Roll Sushi. 4. 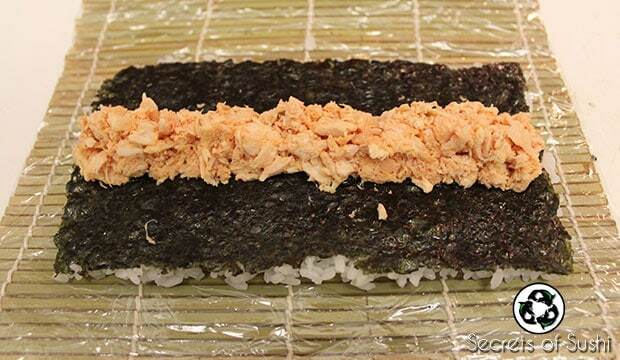 Cut your Spicy Crab sushi roll into 8 even pieces and plate it! I’ve got some awesome plating tips in my email newsletter (which you can sign up for at the top or bottom of this website!) 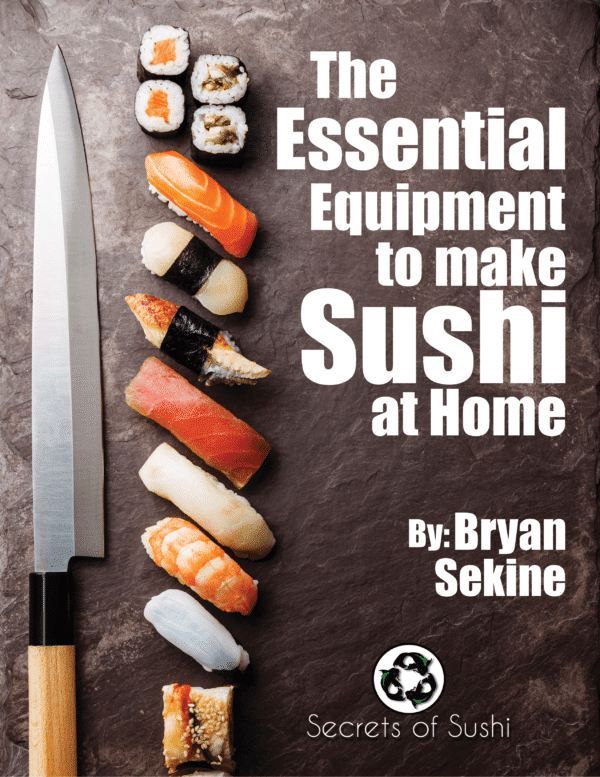 if you are interesting in learning how sushi chefs do it. 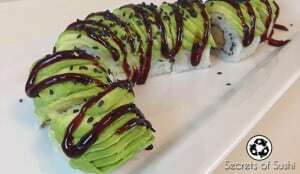 Finally, you can add your wasabi, ginger, and/or your favorite sushi sauce. For additional heat, try adding Spicy Mayo! Or if you would like it to be slightly sweet, I would recommend adding Eel Sauce. You can also substitute real crab meat for imitation crab! 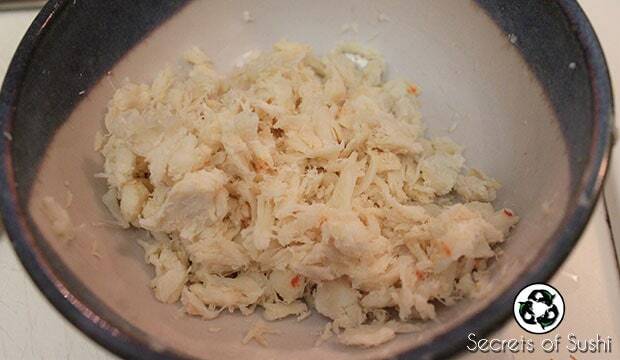 For info on how to cook imitation crab meat at home, click here. I’m excited to hear about what you think about this recipe! Did you try it at home? How did it go? Feel free to leave me a comment if you have any questions!